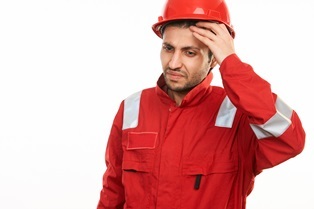 Can I get Social Security disability and workers' compensation at the same time? Yes, but not exactly how you might think. While many people who are injured at work will be able to reenter the workforce in a short time, some will suffer temporary or even lifelong disability. Employees who claim Florida workers’ compensation usually apply for Social Security disability benefits when they discover their injuries are permanent. However, there just because you apply for both forms of compensation doesn't mean you'll be “doubling” your benefits. There are many areas of overlap in these two major benefit programs. Workers’ compensation is issued by Florida state law to give temporary wage loss and medical benefits to injured employees. Social Security disability insurance is a federal program overseen by the Social Security Administration (SSA) that provides payment to workers whose conditions prevent them from earning a sustainable living. State laws. Unlike some other states, Florida workers' compensation laws prohibit injured workers from collecting temporary total disability or permanent total disability for any weeks where the claimant received re-employment assistance or unemployment benefits. Offsets. Florida law actually requires all permanent total disability claimants to apply for Social Security disability. If you're approved, the insurer who provides your workers' compensation insurance will likely reduce its payments. This places the burden of the employee’s injury on the state rather than a private insurer. This offset ends when the employee’s workers’ compensation payments end or when the employee reaches full retirement age. Settlements. If you secure a lump-sum settlement for your workers’ compensation claim, the amount you're given is still subject to offsets. Since there are limits on the amount of total public disability benefits you may receive, the SSA considers the amount of your settlement when calculating your disability benefits. It also reduces your disability payment if you're receiving other forms of benefits, such as civil service disability or government-issued disability or retirement. The amount of income you receive each month varies widely depending on the type of benefits you collect. It's important to consult an attorney who can maximize your compensation. Simply fill out the quick contact form on this page today to schedule a consultation with our Social Security attorneys at no cost to you. What is comprehensive auto insurance and why do I need it? Florida requires all drivers to have a minimum amount of insurance in order to drive legally. While comprehensive coverage is one of the many types of Florida auto insurance not required by law, it can be highly beneficial for drivers to purchase this kind of insurance—especially if they drive rare or valuable vehicles. Comprehensive insurance covers your vehicle for damage caused by something other than a crash with another vehicle. 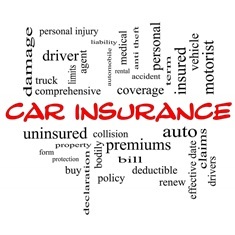 Since a wide range of damages is covered, comprehensive insurance can be an expensive option for your car. However, it might be extremely useful if you drive frequently or live in a big city. Animal strikes. Striking smaller animals such as opossums or squirrels can pop tires, while hitting larger wildlife may cause major damage to your car. Running off the road. If you manage to swerve off the road in time to avoid hitting an obstacle, comprehensive insurance can cover the damage sustained to the undercarriage or body work. Glass repair. Comprehensive insurance reimburses you after incidents with falling or missile objects, including windshields broken by tree limbs, rocks, or flying debris. Weather damage. Hurricanes, flooding, hail, and landslides may all be covered. Theft and vandalism. Comprehensive insurance can restore your property if your car is stolen, burgled, or vandalized. Fire damage. An engine that catches fire from a mechanical problem is not only a deadly occurrence, but also costs thousands of dollars to repair. 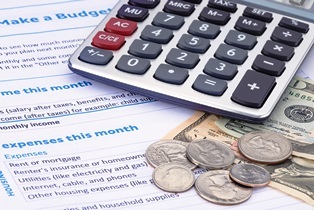 Comprehensive insurance may also be used to cover the overflow costs of an accident. For instance, liability insurance doesn't pay for damage to your vehicle in a crash, nor will it help with the financing or interest costs of your car if you're still making payments. If you're unsure which insurer should be paying for your damages, simply fill out the quick contact form on this page today to schedule a consultation with our car accident attorneys. After I apply for Social Security disability, how long will I wait for benefits? The timeframe between applying for Social Security disability and receiving benefits varies from person to person. Some applicants receive a determination within a month, while others can wait a year or more before their benefits are paid. In most cases, it depends on the stage at which your claim is approved. The Social Security Administration (SSA) can potentially approve disability applications at many different points in the claims process. The more steps it takes to approve your claim, the longer you'll wait for benefits. The first time. It takes up to 90 days to get a decision on a new disability claim. However, many claims are denied the first time, so it's likely you'll have to proceed to a first appeal. On reconsideration. If your first application is denied, you can appeal the decision by filing a request for reconsideration. Appeals generally take between 60 and 90 days to process and notify the claimant of the determination. If the appeal is denied, the next step is to request a disability hearing with an administrative law judge. At a disability hearing. There's typically a backlog of cases waiting to be heard by a judge, so it can take anywhere from a few months to over a year to schedule a disability hearing. However, disability applications are more likely to be approved at a hearing than at any other level of the process. For a terminal condition. Claimants who apply for benefits based on a terminal condition or a class of severe disabilities may receive expedited benefits through the Compassionate Allowance Program and quick disability determination programs. There are many things claimants can do to speed up their cases and increase their chances of approval. Providing complete and convincing medical information and filing for disability as soon as you're unable to work can both increase approval rates, as can hiring a Social Security disability attorney to present your case. 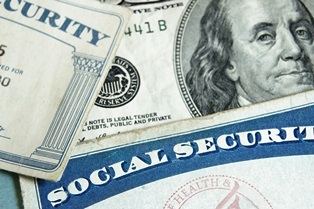 Can I receive Social Security disability and retirement benefits at the same time? The Social Security Administration (SSA) primarily pays disability benefits to people who cannot work and are too young to retire. Since disability benefits automatically transition into retirement benefits, most people cannot collect both Social Security (SS) retirement benefits and SS disability benefits at the same time. However, some claimants may qualify for both types of benefits as well an additional amount of income based on their circumstances. 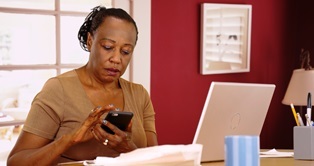 The SSA allows people to receive SS retirement benefits when they reach full retirement age, which is 65 or 67 years old, depending on what year you were born. Since a person who is retired is assumed not to be working, disability payments stop and retirement benefits kick in at one of those two ages. While the type of benefit changes, payments continue automatically and the amount stays the same. Take early retirement. The SSA allows people to claim retirement benefits as early as age 62, but the amount these claimants received is reduced. However, if a person qualifies for both early retirement and disability, the SSA may provide a disability payment on top of their early retirement benefit that makes up the difference. Receive back pay. A retired person who qualifies for disability will also likely be approved for retroactive disability benefits for the months in which they were disabled before application. Qualify for Supplemental Security Income. If you're already receiving disability or retirement benefits, you could also qualify for Supplemental Security Income if you can demonstrate financial need and few resources. If you're unsure what kinds of benefits you may qualify for, our attorneys can determine how much you've paid into Social Security during your past employment and see how your personal circumstances affect what you're owed. Simply fill out the quick contact form on this page today to schedule a consultation with our Social Security attorneys at no cost to you. Can I Receive Both SSD and SSI Benefits? How does Social Security issue back pay on disability benefits? However, the amount of back pay granted to each claimant varies depending on the date used to calculate benefits. Claimants can receive up to 12 months of Social Security disability back pay for the months in which they were waiting for benefits to be paid. After the claim is approved, the full amount of retroactive benefits is issued in one lump sum, with regular monthly benefits continuing as usual. Date of disability. When the SSA approves an application for benefits, it decides a date on which the claimant's disability began. This is known as the established onset date (EOD), and is determined by a disability examiner using the claimant’s medical records and work history. An EOD can be several months before the application date, greatly affecting the amount of back pay. For this reason, it's not uncommon for a claimant and a disability examiner to disagree on the exact date of disability. A Social Security disability attorney can help by gathering additional medical information and other evidence to prove the claimant wasn't able to perform work. Application date. Claimants can receive benefits back to the date they applied for disability, as long as their medical evidence supports they were disabled on or before this date. 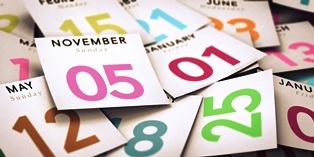 If their medical evidence shows they were disabled in the year before applying for benefits, retroactive payments may be granted for the months before the application date. End of the waiting period. Social Security disability benefits have an automatic five-month deduction to allow a reasonable period for benefit processing. In other words, a person isn't entitled to benefits until five months after his or her disability began. For example, let’s say a claimant files an application on December 1 and is given a disability date of January 1 of the same year. Although the claimant has been “officially” disabled for 11 months, he or she will only be entitled to six months of retroactive benefits. As you can imagine, the established date of your disability can have a big impact on the amount of benefits you receive. If you win your disability claim on appeal, you could potentially get back pay for the many months you were forced to live without your rightful benefits. If you're having trouble collecting rightful payment from Social Security, simply fill out the quick contact form on this page today to schedule a consultation with our attorneys at no cost to you. The Social Security Administration (SSA) provides disability payments to workers who previously paid taxes into the Social Security system but now have a condition that makes maintaining employment difficult. The SSA also has an entirely separate disability program called Supplemental Security Income (SSI) that pays benefits to claimants who are unable to work and live on an extremely low income. Who Is Eligible to Receive Supplemental Security Income? Supplemental Security Income is a purely needs-based program for people who have limited income and resources. Unlike Social Security disability benefits, SSI is paid out of general taxes rather than Social Security taxes. This is important because people applying for SSI don't need to have work in jobs where they paid Social Security taxes—in fact, they don't need to have worked at all in the past to be eligible for benefits. Are disabled. If you're under 65, you'll need to prove your disability matches the SSA’s definition of long-term disability. This includes a complete inability to do the type of work you've done in the past, as well as an inability to be retrained into other kinds of work available in your area. If you're over 65, you may be able to collect if you're not disabled but are in financial need. If you're applying for benefits on behalf of a child with disabilities, you'll still need to prove his or her condition and limited financial resources. Have limited resources. 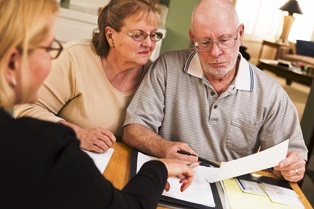 SSI is reserved for people with a demonstrated financial need. Claimants must prove they have less than $2,000 worth of assets and possessions available to them, not counting one car and the house in which they live. A person may be denied SSI benefits if he or she lives with multiple people who are able to earn a living, have more than $2000 in a savings account, own multiple vehicles, or have other potential income available to them. If you do qualify for SSI, you can make a claim for these benefits at the same time you apply for Social Security disability. If you need help with an application or need to appeal your Social Security benefits decision, fill out the quick contact form on this page today to schedule a consultation with our attorneys at no cost to you. 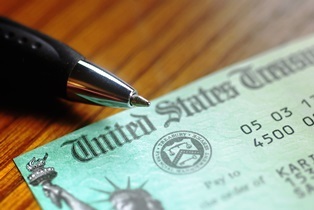 Could I receive both Social Security disability and Supplemental Security Income benefits? The Social Security Administration (SSA) offers different kinds of disability income depending on a beneficiary’s specific needs. Social Security disability is for people who have paid enough taxes into the Social Security system to draw upon the fund if they become disabled. The other form of payment, Supplemental Security Income (SSI), is reserved for beneficiaries with disabilities who have low income and few financial resources. 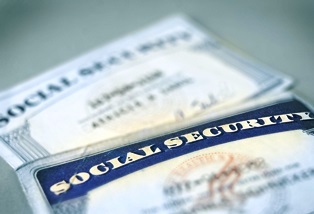 Who Qualifies for Both Social Security Disability and SSI? The biggest difference between Social Security disability and SSI is that SSI is a needs-based program. Just as people who have never paid into Social Security aren't eligible for benefits, people who have access to stable sources of income, property, or other assets aren't eligible for SSI benefits. However, there are some cases where people may qualify for both types of disability benefits—sometimes called “concurrent benefits.” You may get concurrent benefits if you're approved for Social Security disability, but receive a low monthly payments due to your work history. You may apply for SSI benefits after you're approved for disability, or you can apply for both types of benefits at the same time. If you have trouble collecting Social Security benefits, simply fill out the quick contact form on this page today to schedule a consultation with our Social Security attorneys at no cost to you. Can I win my Social Security disability case if I haven’t seen a doctor for my condition? It will be difficult to win your Social Security disability claim if you don't treat with a doctor. This is because the Social Security Administration (SSA) evaluates your case partly on medical records. However, you may still be able to win your case if you haven't had regular medical appointments due to the cost of these appointments. Generally speaking, the SSA won't look sympathetically on applicants who claim to suffer from a serious medical condition but haven't seen a doctor. Few people live with a disability that hasn't been diagnosed or under treatment unless they have a good reason, such as an inability to pay the high costs of medical bills. Apply for subsidized health insurance. Florida provides qualified low-income residents with free healthcare through Medicaid. The Affordable Care Act can allow patients to get healthcare at a price they can afford. Seek out public benefits. There are many state and federal organizations which offer income assistance, food coupons, and health benefits. Even if you may not qualify for healthcare, the savings from other benefits may allow you enough financial leeway to see your doctor. Visit an emergency room or urgent care for treatment. Some people have insurance that only covers emergency care. If you have coverage that pay for you to be seen in an urgent setting, these visits establish some testing and guidance and provide another entry on your medical record. Attempt to find a clinic offering low-cost services. Some providers offer payment plans or reduced-cost services to patients who don't have insurance. Others may provide free or lower-cost services to patients who can prove need or special circumstances. If there isn't enough medical evidence in your case, the SSA may require you to undergo a consultative exam to determine your disability claim. While this doctor may evaluate your condition and the extent of your disability by performing testing, he or she doesn't provide treatment. His or her opinion greatly impacts the outcome of your case. Even if you cannot afford to see a doctor, you still have the burden of proving to the SSA that you couldn't obtain low-cost treatment. If you're having trouble collecting Social Security disability benefits, we can help. Simply fill out the quick contact form on this page today to schedule a consultation with our Social Security attorneys at no cost to you. What If My Doctor Won’t Help Me With My Social Security Claim? What documents do I need to apply for Social Security disability benefits? While there are a few different ways to apply for Social Security disability benefits, each one requires you to provide specific documentation about your case. The Social Security Administration (SSA) needs both personal and medical evidence to evaluate your claim effectively, and your decision may be delayed if you don't provide complete information. 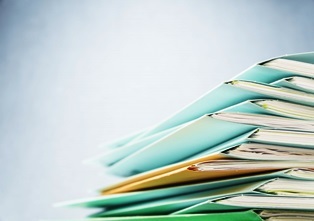 The SSA asks you to provide a variety of official documents as proof of eligibility. If you provide the original documents along with your application, the SSA makes photocopies and returns the originals to you. If you send copies, they must be certified by the office that issued them. Family records. You may need to provide a copy of your Social Security card, driver’s license or ID, and proof of age for each of your family members who may qualify for benefits. You may also need a copy of your marriage license if your spouse is applying for benefits as well. Medical records. You'll be asked to answer questions about your medical condition as well as provide copies of your medical records related to your disability. This includes your laboratory and test results, imaging studies, prescribed treatment, and the names and dosages of your medications. Work and tax history. You'll be asked to provide a summary of your work history and what kind of work you performed. Documents required for this section include your most recent W-2 forms or a copy of your federal tax return showing self-employment. Processing times for Social Security disability benefits can take anywhere from three–to–five months, and sometimes even longer. However, there are many things you can do to shorten the time between application and decision. Our attorneys keep in contact with the SSA to move the process along on your behalf. To learn how we can help, simply fill out the quick contact form on this page today to schedule a consultation with our Social Security attorneys at no cost to you.